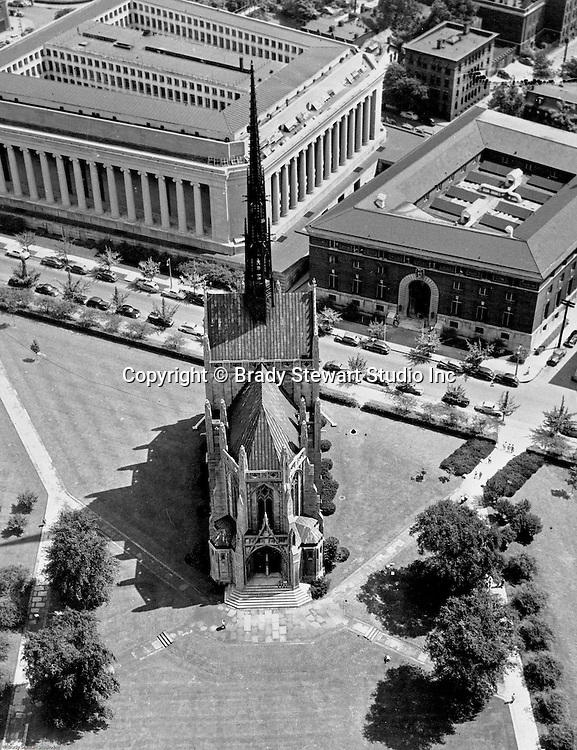 Oakland Section of Pittsburgh; view of Heinz Chapel from Pitt's Cathedral of Learning - 1960. The nondenominational chapel was given by the H.J. Heinz family to the University of Pittsburgh and was dedicated in 1938.